Established in 1992, KEMS was the first official Internet Service Provider licensed by the Kuwaiti Ministry of Communications to provide connectivity to clients around the country. KEMS since then took upon its shoulder the task of continuously upgrading its network & service to ensure providing the state of the art tech – internet services in par with both local & global markets needs – growth and total client satisfaction. This level of professionalism and quality of services provided by KEMS could not have been reached if it weren’t for the efficient support as well as a dedicated specialized team working around the clock to provide the best. KEMS’s team is a medley of local and international expertise meshing into one strong and efficient family to rely on for catering its services. In addition to that, KEMS has been closely working with strategic local & global service providers and carriers to extend its network and enhance its services to ensure a lucrative as well as productive long-term relation positioning it as a leader amongst competitors with innovative service specially since it was the first to introduce the Dial up and ADSL services in Kuwait. KEMS is only keen today on catering the latest technologies and embark on new fields hence came along KEMS Wi-Fi, iPass (Roaming internet service) and internet connectivity via fiber optic cables working closely with the Ministry of Communication; Aware of the huge responsibility KEMS has towards its clients, it worked hard on taking all the necessary steps to implement sound measures and protocols applying for both ISO9001 (Quality Management) and ISO27001 (Information Security Standard) and was awarded both certifications which is a further step in ensuring the privacy of the clients data and back up of its systems. Clients come first, this is the motto that we KEMS strongly believe in and for that we have focused our efforts towards building a long term relation with them depending on our team of dedicated experts only fortified with professional skills and the best after sales service Because we believe that the customer is the cornerstone of the company was keen on building a strong relationship strong with our customers, through a dedicated team and is equipped with the best staff and skills to provide the best after-sales service whether from our Call Canter or in any of our distributed branches in Kuwait distinguishing us from our competitors. KEMS team does periodic field trips and assessments for clients’ locations, which help identify each unique client, maximizing client satisfaction level and to draft affordable plans and prices accordingly for upcoming campaigns. This has assisted KEMS in refreshing their offers and campaigns to accommodate the needs of the local market and has helped maintain a large bas of loyal clients. KEMS’s sole goal is to maintain a healthy & long-term relation with its clients and continue to offer all the new trends and Internet apps blooming up in global markets. 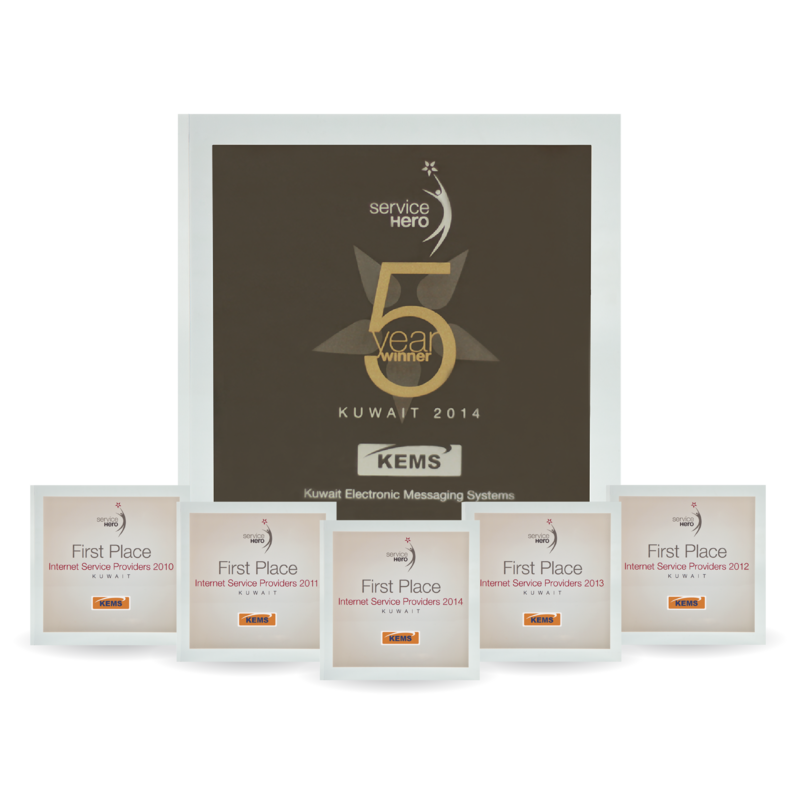 KEMS has been awarded ‘The Best Internet Service Provider in Kuwait’ for five consecutive years (2010 – 2014) by ServiceHero, Kuwait’s only customer satisfaction index. Service Hero was established by a team of professionals keen on identifying companies that are service leaders in their market. This team is backed by an Advisory Council, Academic & Independent, which assures results that are impartial, objective and accurately reflect people’s preference. 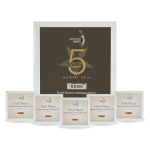 KEMS has also been voted as a SUPERBRAND for two years in a row 2012 & 2013. It is the only ISP in Kuwait to accomplish this great achievement. “SUPERBRANDS” is acclaimed worldwide as an independent authority for branding excellence and is committed to paying tribute to exceptional brands and promoting the discipline of branding.